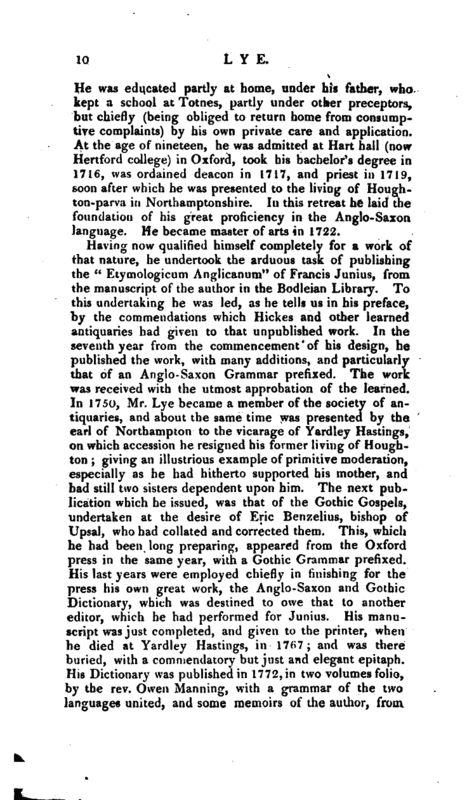 , a learned linguist and antiquary, the author of an excellent dictionary of the Saxon and Gothic languages, was born at Totnes in Devonshire, in 1704. 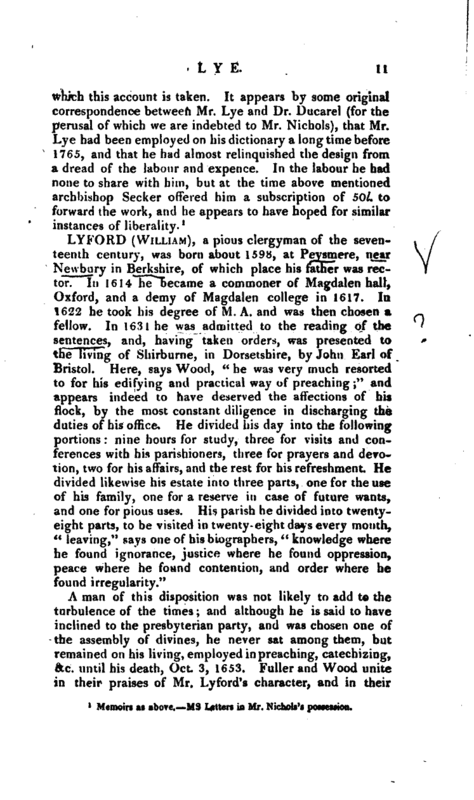 | He was educated partly at home, under his father, who kept a school at Totnes, partly under other preceptors, but chiefly (being obliged to return home from consumptive complaints) by his own private care and application. At the age of nineteen, he was admitted at Hart hall (now Hertford college) in Oxford, took his bachelor’s degree in 1716, was ordained deacon in 1717, and priest in 1719, soon after which he was presented to the living of Houghton-parva in Northamptonshire. In this retreat he laid the foundation of his great proficiency in the Anglo-Saxon language. He became master of arts in 1722. 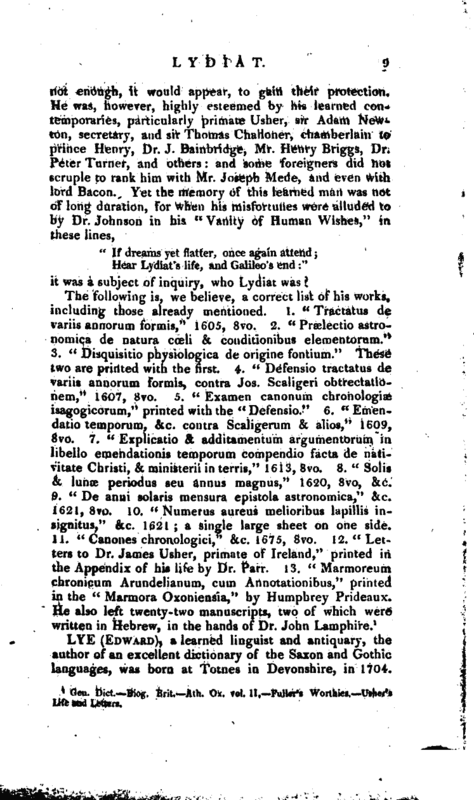 1 Memoirs as above, ms Letters in Mr. Nichols’s possession.